I have a band of experiments at the bottom of my fabric, where I know it’s going to be cut away when I assemble the finished piece. 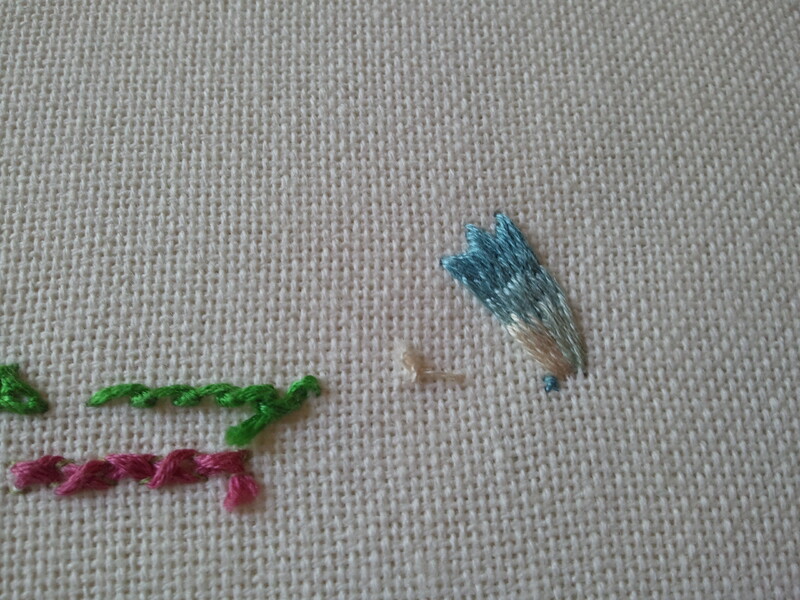 Here’s a test petal, with cream and blue, along with some other test stitches. The last bit of petal-filling goes very quickly, and transforms the piece. All of a sudden, it looks finished. But I’ve run into a problem. 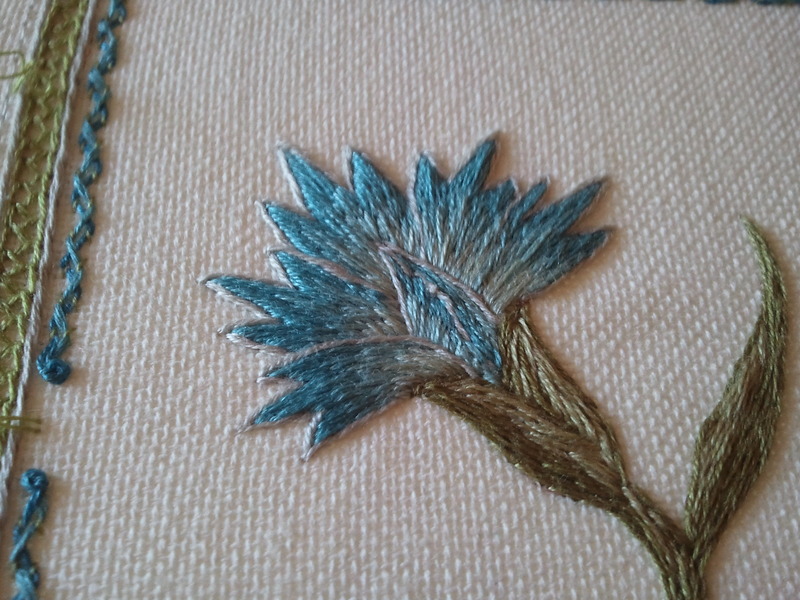 With only one petal left, I’ve run out of thread. The darkest blue, DMC 807, to be precise. The problem is that I’m using floss of an indeterminate age, given to me by my aunt when she stopped cross-stitching. This floss probably dates back to the ’80s or ’90s. I’ve doomed myself–I left a comment on this post about DMC on Needle ‘n’ Thread mentioning what great luck I’ve had matching newer DMC to the older thread given to me by my aunt. Considering that comment, the DMC 807 I’m going to pick up this afternoon so I can finish this flower over the weekend is destined to be significantly darker, or greener, or possibly no longer produced at all. Will it show to any eye but mine? 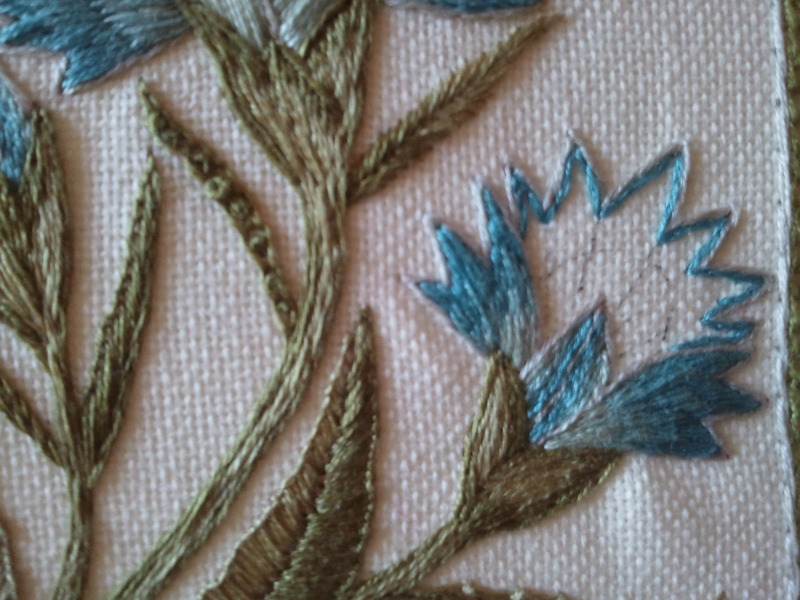 This is embroidery on the edge. After I finish that last petal, all that remains is a little decoration on the spine, a scissors pocket and then, the finishing. I don’t mind admitting I’m a little nervous about the finishing. It’s by no means my strongest skill set, and I want this to be pretty when it’s done, not marred by skewed seams and crooked corners. We’ll see! 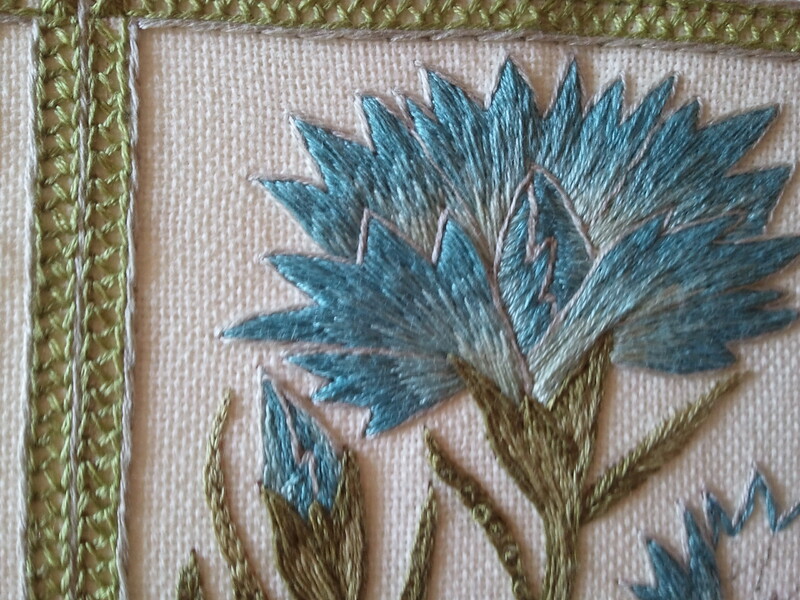 This entry was posted in Uncategorized and tagged carnation needlebook, embroidery, flowers, needlebook, surface embroidery by Rene. Bookmark the permalink.